Relationships. Health. Work. Where have you encountered suffering? Wherever it is, Job knows how you feel. He experienced grief at every level. When we stumble into hardship, the first question we often ask is Why? And while spotting sorrow is easy, escaping it is hard. Suffering is a mystery--an invitation to explore and to listen. 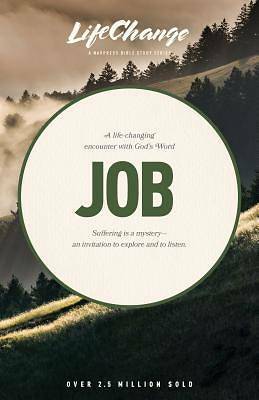 Job shows us how. You won't find sophisticated explanations, easy prescriptions, or simple solutions. But you will find company in his wrestling and struggle. And as you follow his journey, may you also encounter his peace. LifeChange Bible studies will help you grow in Christlikeness through a life-changing encounter with God's Word. Filled with a wealth of ideas for going deeper so you can return to this study again and again.